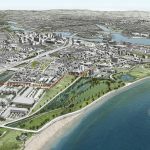 The Connecticut Department of Housing has hired a team of architects, engineers, designers, and urban planners to create climate change and flood resilience measures, which will help minimize flood risk and rising sea levels affecting Bridgeport. 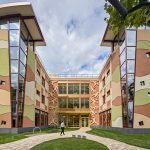 The first phase of construction of a residential facility for families of patients at Yale-New Haven Children’s Hospital, Connecticut, was completed recently. The newly-built residential complex is larger and more conveniently located directly across the street from the hospital’s entrance. 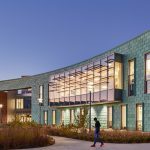 It offers a welcoming and natural setting in an urban context, providing both privacy and community for residing families. 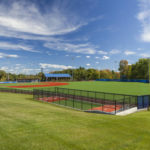 This month, the American Sports Builders Association (ASBA) announced winners of its annual awards program at a technical meeting in New Orleans, Louisiana. Attendance at the event hit an all-time high, with more than 600 industry members and 60 trade show exhibitors present. 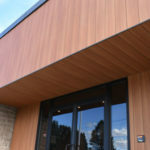 Natural-fiber sidings with the look of wood provided a solution to a Connecticut mixed-use building’s aesthetic and practical needs.